I produce work in a variety of media including painting, drawing, collage and ceramics. My studio is at home and visitors are welcome by appointment. There are many strands to my work. For as long as I can remember I have used drawing, painting, and making things as a way to express my ideas, to tell stories, to observe and to understand. The choice of medium is sometimes random or becomes clear when I start developing an idea. These ideas may be around cultural issues, historical themes, dreams or memories. 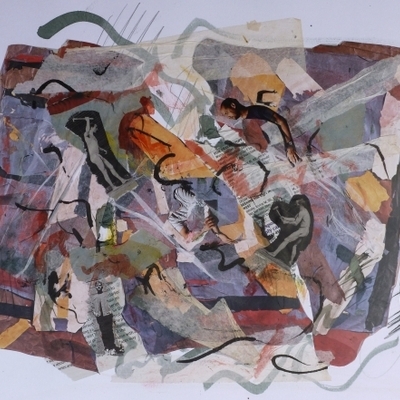 Media include acrylic, watercolour, pencil, crayon, ink, collage and printmaking. Alongside this work I also have the desire to produce items of beauty and originality, be they functional or sculptural, I enjoy learning and developing new skills and then experimenting. 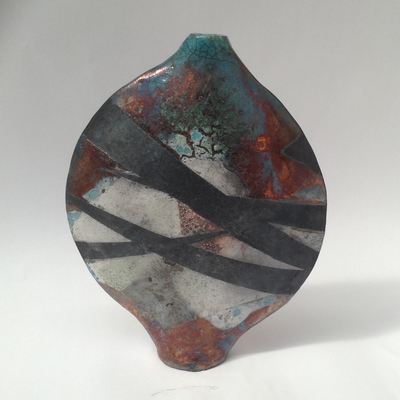 Hence my ceramic work includes reduction fired porcelain, stoneware, paperclay, raku and saggar fired pieces. 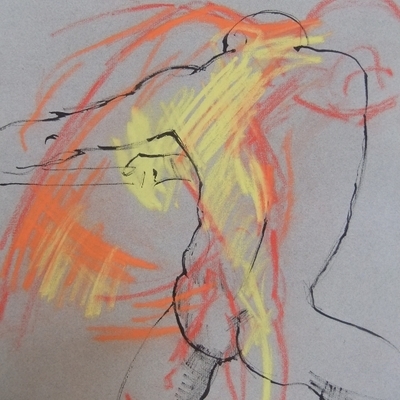 I also enjoy the discipline of life drawing. I have the privilege of having my own models so can use poses which reflect my interests at the time, such as the bodies found at Pompeii, or the expression of emotions such as anger or joy. These drawings then often become the basis of paintings or collage. 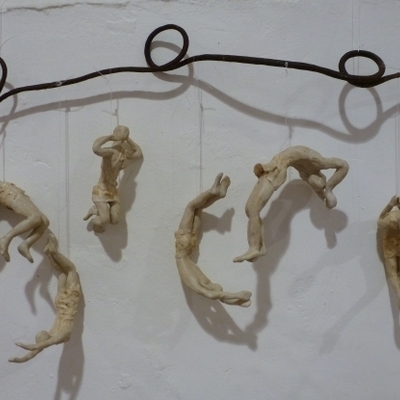 They also inform some of my sculptural work in clay. Galleries exhibiting my work : Catharine Miller, Hollywood Road Gallery, Chelsea, Yarmouth Gallery, Mini Big Art, Bembridge.